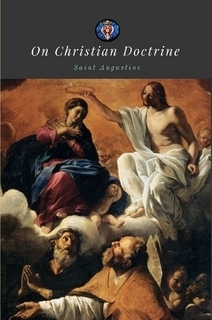 On Christian Doctrine, also known as On Christian Teaching, consists of four books written by Saint Augustine of Hippo on the interpretation and the teaching of the Scriptures. The first three books were published in 397 AD and the forth in 426 AD. It sets various tasks to Christian teachers and preachers, i.e. to discover the truth of the Scriptures; to teach the truth from the Scriptures; and to defend Scripture when it is attacked.